So it's official! Today is my one month anniversary in Japan. 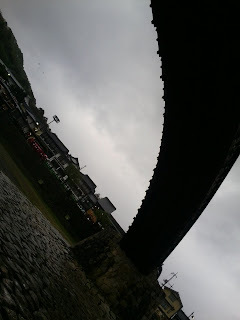 I celebrated last weekend by taking a trip to Iwakuni, to see the world - famous Kintai bridge. The rain was steady last Saturday, and it was not long before I was completely soaked! Good thing I brought my jacket and hat! Always take the time to consider a different perspective! See you after Golden Week!